Dimples & Dragonflies Studio & Gallery LLC: Sentiments Of A Southern Artist: "Movie Night"
Sentiments Of A Southern Artist: "Movie Night"
It's been a busy time for me lately. But for sure I'll be slowing down, taking a deep breath, and enjoying Tuesday Movie Night at my house tonight. The new DVD Release "Robin Hood" comes out today, and I'm Truly anxious to watch it. Russell Crowe and Cate Blanchett are two of my favorite actors, so this is bound to be a wonderful movie. I'm delighted to share that my 4-Piece Cottage Glamour Set Sold This Week. Bye Bye Sweet Girls..They'll Be Living Further South Than I do From Here On. I'm So Pleased They Found A Wonderful New Home. 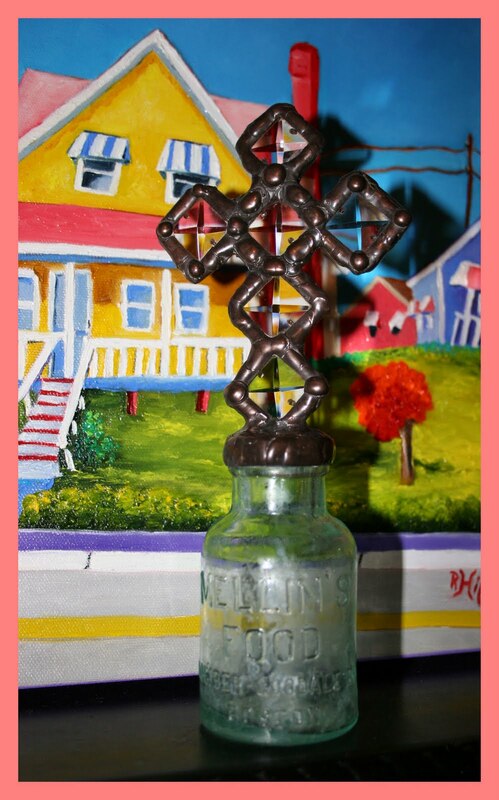 Do y'all like my newest cross design? 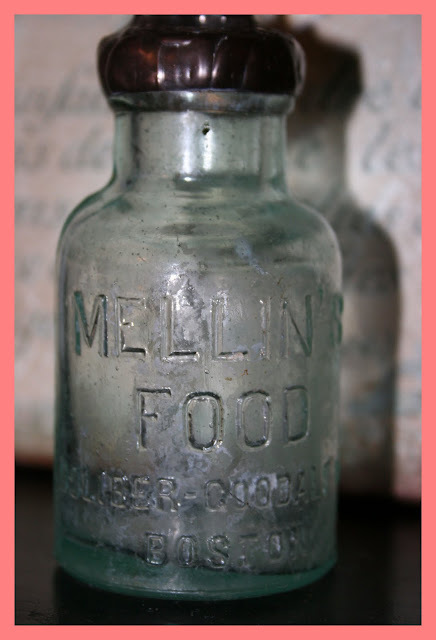 I Mounted Six Diamond Square Crystals To A Lovely Antique Mellin's Food Bottle. I took a CloseUp so you could see the wonderful Frosty Patina Lining This Old Relic. I Used A Bronze Solder On My Crystals and Bottle Lip, and I'm Feeling This Is An Exceptional Piece. Well, That's About All I Have To Share For Now. 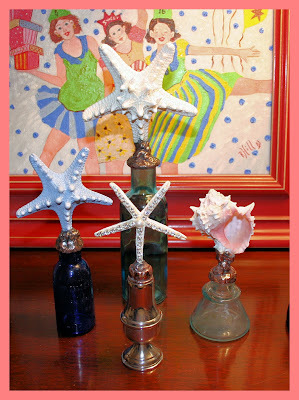 I'm Working On Another Beautiful Sea Life Bottle At The Moment, But It's Nowhere Near Ready To Post. Maybe By Week's End..
A Heartfelt Thanks To Anyone Who May Have Popped By Today! 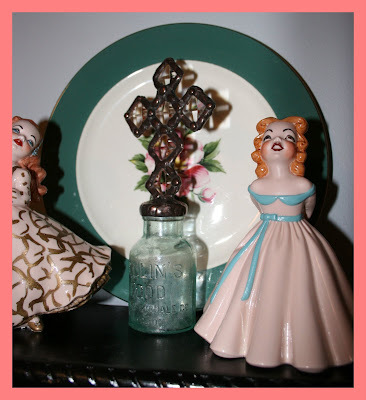 Oh, Terri, sweet friend ... what a lovely set for that special home. 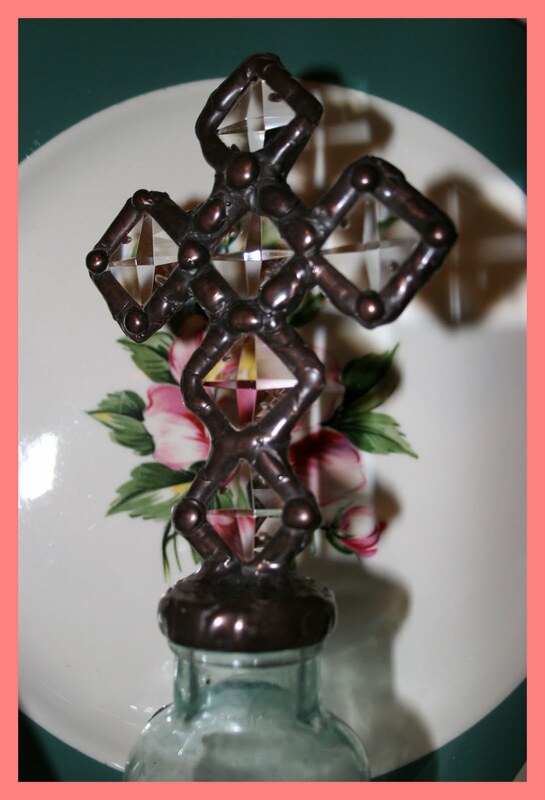 This new creation is fabulous, love the bronzing. You have such a creative blessed talent, Terri. Hope Mother is doing well ... hugs of love to you both. So nice artwork, darling Terri! Love these pieces. So nice to keep checking back...they're always different. That's what I like best. I’ve always enjoyed your paintings and like these bottles too! I’ve also been looking forward to watching the Robin Hood movie! I’m a fan of the talented Cate Blanchett and like her pick of interesting movie scripts. 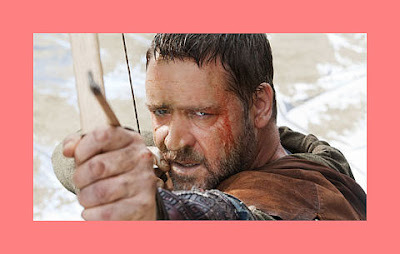 Loved "Bad Boy Crowe" in Gladiator! I had to come by and see you and I am so glad I did...you won't believe this (o.k., maybe YOU will!!!) I am a stained glass artist too - but am loving painting and collage for the last many months...and I have glass bottles and 1 inch square bevels waiting to be put together JUST LIKE THIS!!! So beautiful...Keep creating!! I have given you the One Lovely Blog Award because your blog is lovely and it would love for you to stop by and pick up your award.